The mass recalls had been approved by Vietnam Register, which is in charge of car registration and inspection in the Southeast Asian country. 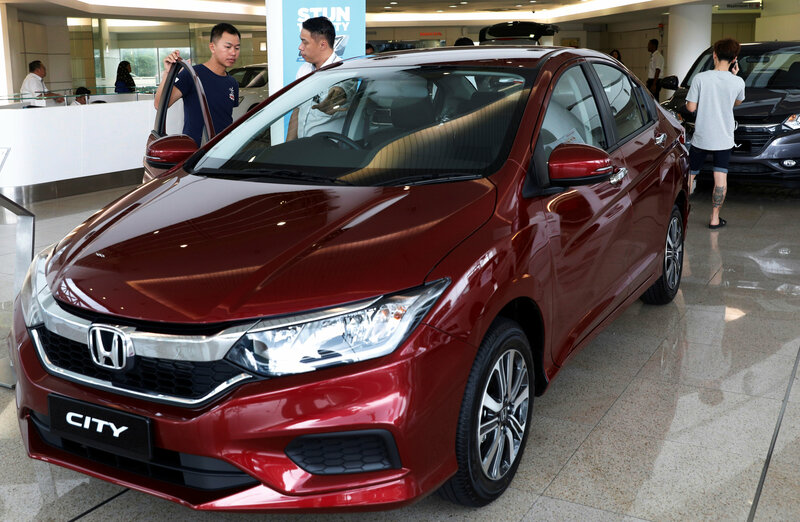 The Vietnam branch of Japanese automaker Honda recalled 1,524 of Honda City sedans manufactured at its factory in the northern Vietnamese province of Vinh Phuc between May 25, 2013 and January 6, 2014. The cars’ front passenger airbags had been found to deploy with an excessive force due to defects in their inflators, which could put occupants at risk of injuries from pieces of shrapnel shot out during deployment. Owners of Honda City cars that match the manufacturing details shown above are encouraged to bring their vehicles in at Honda garages nationwide for a free inspection and replacement of the faulty parts, a procedure estimated to last less than one hour. The recall will last until March 9, 2019. Meanwhile, Suzuki Vietnam has also made a recall of nearly 4,500 Suzuki Raider 150 Fi motorbikes produced and assembled in Vietnam between November 2016 and August 2017 due to errors with their ignition switches. Welding catalysts residue on the switches, supplied by an Indonesian manufacturer, were responsible for their unreliable functioning reported recently, the Japanese motor manufacturer announced. Owners of Suzuki Raider 150 Fi bikes eligible for the recall have until the end of December 2019 to bring their vehicles in for a free replacement of the faulty parts.